A few years ago, while attending a pediatric society meeting, I was shocked to find out that high school and college female soccer players were at great risk for serious knee ligamentous injuries or anterior cruciate ligament (ACL). The percentages were high enough to make me think that soccer should be banned for girls in high school and college. ACL injuries are 4-8 times greater in females than males. Females between the ages of 15-20 appear to be at the highest risk, especially those who participate in soccer, basketball and volleyball. One out of 100 high school female athletes and one out of 10 college female athletes experience ACL injuries. 70 percent of ACL injuries occur through non-contact movements, such as running, cutting or landing from a jump. 30 percent happen during contact when an individual is fouled or tackled from behind. Female high school basketball players have a 3.79 times greater risk of injury than their male counterparts. Surgery for ACL repair averages about $20,000. Females have a disproportionately higher incidence of ACL tears due to these risk factors: structural (wider hips), neuromuscular (weaker muscles, less control of legs), hormonal (estrogen is associated with increased ligament laxity). Eating disorders are established in the teen years and can have tremendous effects on the healing abilities of injured athletes, menstrual cycles and muscle development. At a recent physical therapy convention, I learned that a two-year study published in the American Journal of Sports Medicine found that an injury prevention and performance enhancement program was able to reduce ACL tears by 88 percent in the first year and 74 percent in the second year in soccer players. That means girls can continue to play soccer, and probably basketball and volleyball, safely, with a greatly reduced risk of getting an ACL injury. Physical therapists can help to prevent ACL injuries through physical conditioning and training. Physical therapists are trained to look at body movement and identify faulty movement patterns that place abnormal stress on the knee. Other joints, such as hip, back, ankle and foot, as well as muscle flexibility/strength, balance and coordination are also assessed to reduce risk of injury. Sport specific drills are used to encourage good alignment, joint biomechanics and optimal performance. Implementing a good prevention program by instructing coaches, parents and student athletes with the help of physical therapists is necessary to prevent serious injuries, future arthritis and safe enjoyable participation in sports. 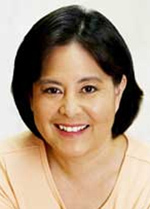 Sheila Yonemoto, P.T., has been a physical therapist for over 30 years, specializing in Integrative Manual Therapy utilizing a holistic approach. She can be reached at Yonemoto Physical Therapy, 55 S. Raymond Ave., Suite 100, Alhambra, CA 91801. Call (626) 576-0591 for a free consultation, or visit www.yonemoto.com for more information.